Marking 90 years of the Polish race and 100 years of Poland’s Independence. 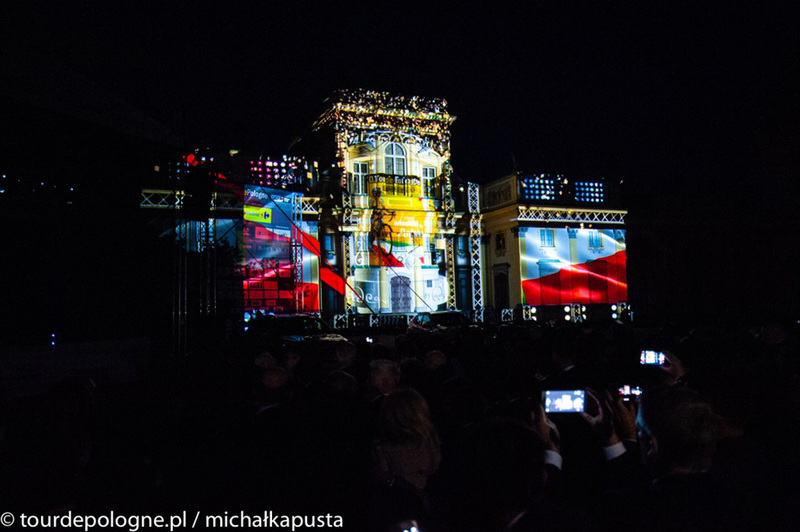 Known as the "Polish Versailles" and as the historical second residence for many Polish kings, the regal Wilanow palace was the setting on Friday night for the official presentation of the 75th edition of the Tour de Pologne UCI World Tour. 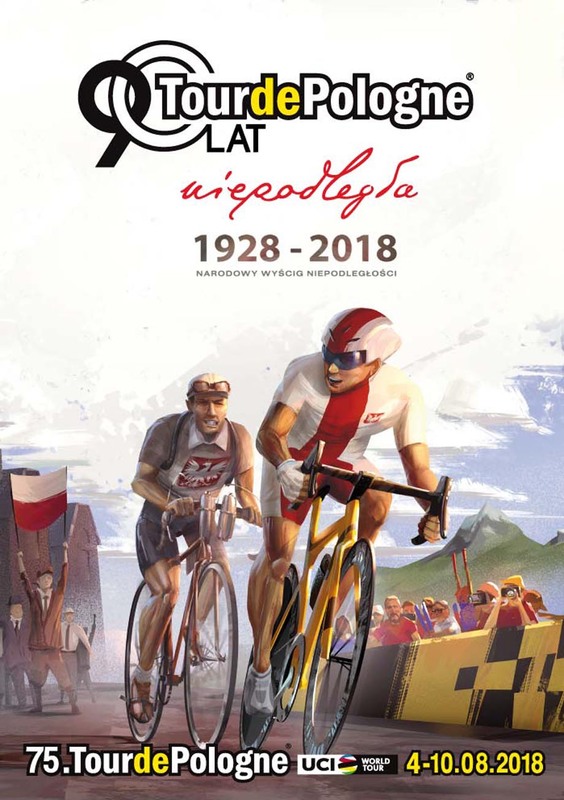 This edition will be richly significant, as it will mark 90 years of the Tour de Pologne – the first edition was in 1928. This is also the 25th edition that’s been organized by Czeslaw Lang and his Lang Team. However, this year promises to be extra special because the Tour de Pologne will be riding to celebrate 100 years since Poland’s Independence (1918-2018). There are 7 stages on the Tour de Pologne program scheduled from August 4th to the 10th, 2018. This is Poland’s most important sports event of the year and the most prestigious cycling race in all of Eastern Europe, the only one of its kind in this geographic area that is part of world cycling’s elite class UCI World Tour calendar. The Grand Depart will take place on Saturday, August 4th, from Krakow, the historic and cultural capital of Poland; the final finish line will be in Bukowina Tatrzanska on August 10th, after lots of climbs in the heart of the Tatra Mountains. In between there will be great sprints, spectacular uphill arrivals and plenty of terrain that will be perfect for breakaways. There are 4 jerseys in the Tour de Pologne: the YELLOW jersey for the leader of the general classification (sponsored by CARREFOUR); the MAGENTA jersey for the mountain primes (sponsored by TAURON); the WHITE jersey for best sprinter (sponsored by HYUNDAI); and the BLUE jersey for the most active rider in the group (sponsored by LOTTO). Add to these: the classification for best Polish rider (sponsored by LOTOS) and the team classification. Furthermore, as part of a new initiative to celebrate 100 years of Polish Independence, every day at the 100 k mark of each stage there will be a special prime (sponsored by LOTOS). The presentation was the highlight on the calendar of events organised for the “Great bicycle week-end of Warsaw” (Wielki Warszawski Weekend Rowerowy), which will also include races open to amateurs. On Saturday, May 19th, there’s the MTB marathon (Vienna Life Lang Team Maraton Rowerowy) and on Sunday, May 20th, there’s the road race (Lang Team Race). Both rides will set out from the gardens of the Wilanow Palace. Warsaw will also be hosting a “White Night”, with all museums and many businesses open all night, offering a unique opportunity for citizens and tourists to make the most of their experience in the capital. Furthermore, for the entire week-end the Tour de Pologne Mobile Museum will be parking at Wilanow as part of a road show that started several months ago and that will last until October. The museum will pass through many Polish cities, stopping at Carrefour shopping Centres (brand partner of the initiative in association with the Ministry for Sports and Tourism). 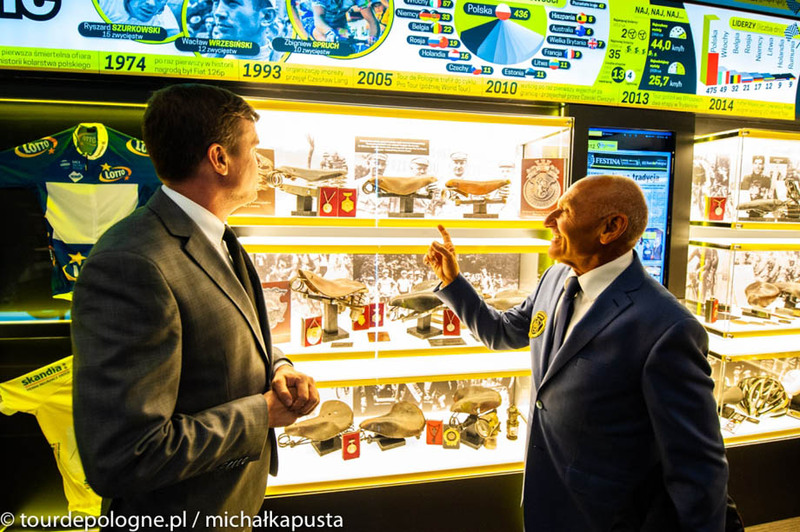 The Tour de Pologne Mobile Museum is a project that joins history to modernity through the use of interactive technology. In fact, inside the museum, next to a collection of many unique and original artefacts, including historic bicycles, jerseys, trophies, photographs and articles from media archives, there is an interactive multimedia instillation that brings to life the history of the race. Many guests from the world of sports and entertainment, as well as government officials, were present at the ceremony; and that’s not all. In a year as important as this one is for Poland, the presentation was also open to the general public of fans and enthusiasts, who showed up in droves to the Wilanow Palace gardens to watch the event. Grand master of ceremonies was the General Director for the Tour de Pologne Czeslaw Lang, silver medallist at the 1980 Moscow Olympics and the first professional Polish cyclist to make it beyond the Iron Curtain. Polish Sports and Tourism Minister Witold Banka was also on stage for the presentation, as was the representative for the Municipality of Warsaw, who brought greetings on behalf of her honour the Mayor Hanna Gronkiewicz-Walt. 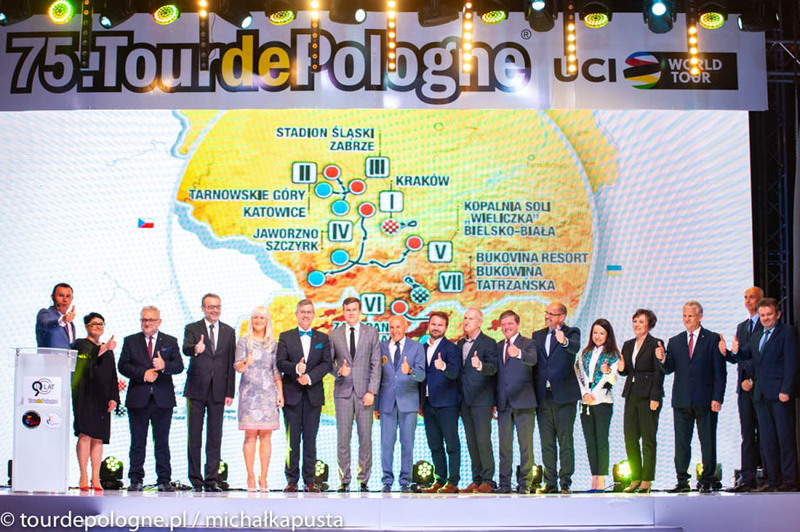 Then there were a lot of representatives from the towns which will be hosting the departures and arrivals of each stage; and of course there were the sponsors, who support the Tour de Pologne project with commitment and passion, and without whom none of this would be possible. Lots of riders who have made up the history of the Tour de Pologne attended, including Marian Wieckowski, class of 1933, and Dariusz Baranowski, both winners of three editions; then came Henryk Charucki and Ryszard Szurkowski. More names included the President of the Polish Cycling Federation Janusz Pozak and ex-pro Piotr Wadecki, who is now the Sports Director for team CCC Sprandi Polkowice and technical commissioner for the Polish National team. Also on hand was the Dutch ex pro Leo van Vliet, winner of a Gand-Wevelgem and many stages in the Tour de France, who has been the respected organizer of the Amstel Gold Race for many years. The French ex pro Cedric Vasseur, now team manager for team Cofidis, Solutions Credits. And many others. Czeslaw Lang (General Director TDP): “It’s a special year for Poland and this is why we want this Tour de Pologne to be just as special. All the stages feature very dynamic and technical routes. On paper the first two fractions look suited to the sprinters, but even here there will be plenty of room to manoeuvre for anyone who wants to go for it and try an attack. The third day in Zabrze will be a tense stage for the group, with not one metre of flat road, where the sprinters’ teams will have to work very hard if they want to carry their captains into the final sprint. Then in the fourth stage, for the second year in a row there will be a climbing arrival in Szyrck, an all-out wall that will offer a classic final in the style of a Fleche-Wallonne. The fifth stage will also be interesting, with more than 2000 metres of total altitude difference, featuring 3 climbs in the final stretch before the arrival in Bielsko-Biala. And for the grand finale we’ve got serious mountains, with plenty of climbs on the Tatra Mountains. For the sixth stage we will cross the border into Slovakia to arrive in Poprad. And then, for those who still have some legs left the next day, there will still be terrain suited to showing off and going for a victory on the gruelling circuit in Bukowina Tatrzanska”. 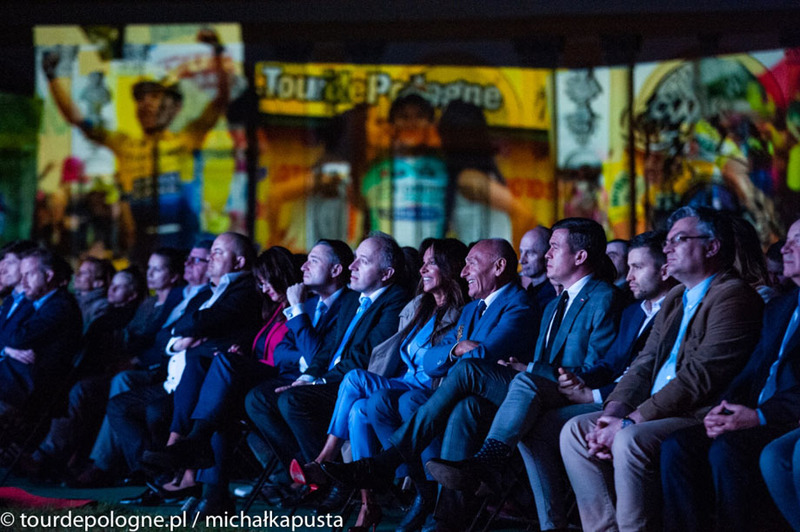 Witold Banka (Minister for Sport and Tourism): “The Tour de Pologne is not only a huge dose of excitement, it’s a showcase for the greatest international cycling talent and beautiful Polish landscapes. However, it is also an essential part of Polish sport's history. The 90th anniversary of the Tour de Pologne coincides with the Centennial of Poland regaining its independence. I am delighted that this year's Tour de Pologne will be a part of that celebration”. As always, there will be 2 important events associated with the Tour de Pologne, for children as well as for amateurs. The biggest news is the Kinder+Sport Mini Tour de Pologne, a non-competitive bike ride for all kids ages 7 to 12, which will take place before the arrival of the pro race, every day except for the last two stages in Poprad and Bukowina. Besides this there will also be the Kinder+Sport Mini Tour de Pologne CUP, a competitive race for teams of kids from clubs (ages 11 to 14). Each day they will compete for points and at the end of the 5 races the 3 best rankings – boys /girls / teams – will be invited to share in the awards ceremonies next to the pros on the final podium in Bukowina Tatrzanska. The Kinder+Sport Joy of Moving programme is an initiative that reaches more than 4.5 million kids throughout the world. The aim is to familiarize kids with sports activities and introduce them to a healthy lifestyle. The programme is already active in 28 countries, with 4 Olympic committees and 126 federations adhering to the initiative. In the various countries, several types of sports are a part of the programme. In Poland Kinder+Sport already offers sports like volleyball, swimming, tennis and sailing; now, with the Tour de Pologne, cycling has joined that list. The initiative also receives support from the Ministry of Sports and Tourism. 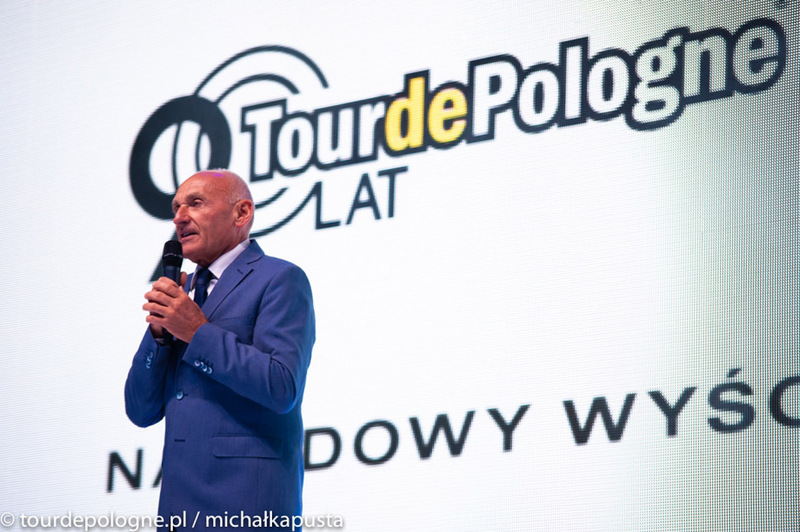 Enrico Bottero (General Manager Ferrero Polska): “I think that after 10 years of great cooperation with Tour the Pologne now we'll do something even better and greater. We are really pleased that Kinder+Sport adds cycling to the other activities of the programme. -Joy of moving- is our claim and I think that we and the children are very happy that Czeslaw Lang and his great race always believes in the power of young generation. Thanks also to the Ministry because they always support what we do. I would also like to invite all the children and all their families because we would like it to be a joy for all these children and all their families to participate in this event. Thank you”. Following tradition, the last day of the Tour de Pologne will feature a race for amateurs and cycling tourists called the Tauron - Tour de Pologne Amatorow. The race will take enthusiasts on a ride over part of the same route ridden by the pros in the final spectacular stage in Bukowina Tatrzanska. Year after year the race always sees more and more fans signing up. This is an important signal of the growing passion for two wheels in Poland. In 2017, more than 2500 cyclists participated in the event.